Iris took home the gong for its #therewillbehaters campaign for Adidas Global, an award sponsored by 72 Point. The agency created a content platform that cut through the ‘seen before’ football advertising and got people talking – on every channel. Responding to a brief to reignite brand love for Adidas football boots among 14- to 19-year-olds, the campaign shifted perception of Adidas from supplier of kit to supplier of swagger. Luis Suarez was the first of several brand ambassadors for the campaign; loathed by respectable football fans but loved by teenage football players who understood his tangles with authority. The team identified the common thread between the product, the consumer and Suarez. In a bold move, the campaign took social media trolls head on and attempted to convert them. Iris responded to as many comments as it could – both positive and negative – on social channels, with a combination of funny, humble and punchy responses and inspired people to take sides. 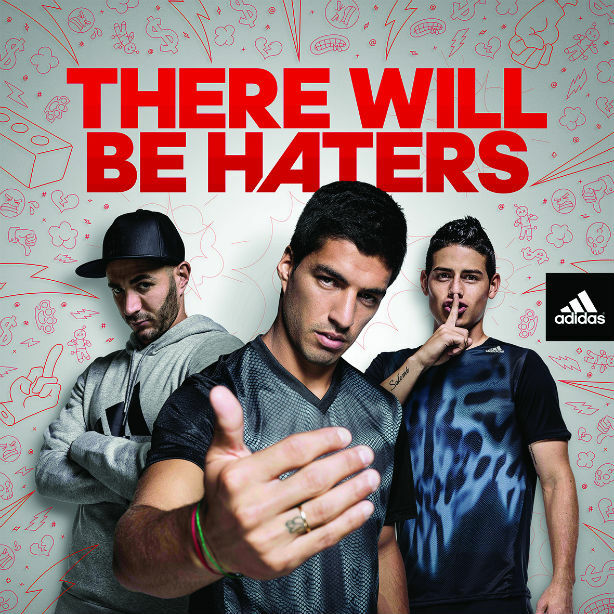 By engaging the audience, #therewillbehaters had the greatest organic reach of any Adidas online campaign to date, reclaiming the brand’s place in youth culture.